Howard Kent Myers, 54, of Wellsville, passed away at 10:00 a.m., Saturday, August 26, 2006, at his home at 203 East Bates in Wellsville, surrounded by his family, after a year long battle with cancer. Funeral services were held at 10:00 a.m., Wednesday, August 30, 2006, at the United Methodist-Presbyterian Church in Wellsville where he was a member, serving as an Elder. Rev. Carl Knapp, Rev. John Ray, and Rev. Dennis Goodman officiated at the service. Mrs. Margaret Scott was the pianist and Mrs. Vivian Updyke served as the organist. Burial was in the Wellsville Cemetery. Serving as pallbearers were Bill McClain, Bob Nation, Carl Oligschlaeger, Curtis Peery, Dean Smith, and Del Stevenson. Visitation was held from 2:00 until 8:00 o’clock Tuesday evening, August 29, at Myers Funeral Home in Wellsville. A Masonic Ceremony was held at 7:30. Mr. Myers was born October 12, 1951 in Macon, Mo., a son of Howard Frank Myers and Dorotha Dean Lile Myers. On June 16, 1973, in Patoka, Illinois, he married Sarah Jane Mullen. 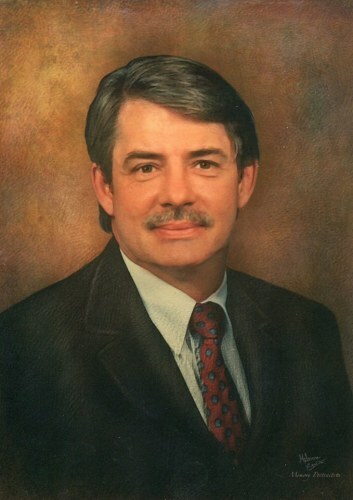 Mr. Myers was a 1969 graduate of Wellsville-Middletown R-1 High School; a 1972 graduate of Kentucky School of Mortuary Science; and a 1976 graduate of Moberly Area Junior College with an Associate in General Education Degree. He was owner/funeral director of Myers Funeral Home in Wellsville and Middletown with his wife, Jane, since 1982. He worked with his father, Howard Myers, at Myers Funeral Home from 1973-1982. Kent had resided in Wellsville since 1958 moving here from Macon, Mo. He was a former member and treasurer of the Wellsville Cemetery Association Trust Fund, former president and charter member of the Wellsville Lions Club; former alderman for the City of Wellsville; former president and member of the Wellsville Jaycees; former president and member of the Wellsville Aquatic Swimming Pool Board; former president and member of the Wellsville Chamber of Commerce; Wells Villa Board member; formerly served on the Board of Directors for Bank of Montgomery County; Grand Lodge – Montgomery Lodge No. 246, (receiving his 25 year pin); Royal Arch Mason of Triune Chapter No. 93; Cryptic Mason of Centralia Council No. 34; Knight Templar of Crusade Commandery No. 23; member of Scottish Rites of Freemasonry; member of Moolah Shriners A.A.O.N.M.S. of St. Louis and member of Mid-Mo Shrine Club. Mr. Myers loved spending time with his family and took pride in his community. He enjoyed woodworking, antiques, old cars, motorcycles, hunting, collecting stamps, coins, books, guns, etc. Survivors include his wife, Sarah “Jane” Myers of Wellsville and three children – Howard “Jason” Myers of Rocky Mount, Virginia, Jill Ann Myers of Wellsville, and Jennifer Aliece Myers of Wellsville; a brother and sister-in-law, Eddie and Laura Myers of Richardson, Texas; a sister and brother-in-law, Paula and Joe Vomund of Martinsburg; his father-in-law and mother-in-law, Harry and Helen Mullen of Patoka, Ill.; aunt, Pauline Litchfield of Fort Worth, Tex., and Imogene and Arthur Huseman of Quincy, Ill.; in addition to nieces, nephews, brothers-in-law and sisters-in-law. He was preceded in death by his parents, Howard Frank Myers and Dorotha Dean Lile Myers. Memorials were suggested to the Kent Myers Community Betterment, Middletown Community Center or Donor’s Choice. Howard Frank Myers, 64, of Wellsville, passed away at 9:40 a.m., Sunday, January 10, 1982 at his home at 533 N. 2nd in Wellsville. Funeral services were held at 2:00 p.m., Wednesday, January 13, 1982 at Myers Funeral Home in Wellsville. Rev. Elmer Revelle officiated. Pallbearers were Ed McCurdy, Lawrence McHoney, Raymond Norris, Carl Oligschlaeger, Curtis Peery and Dr. Donald Shoup. Burial was in the Wellsville Cemetery. Visitation was held after 4:00 p.m, Tuesday, January 12, 1982 at the funeral home. Mr. Myers was born December 25, 1917, in Macon, Missouri, a son of Frank Larue and Maud Yancey Myers. He was a 1936 graduate of Macon High School and worked for a chain of theatres in northern Missouri prior to World War II. Howard entered the U. S. Army at Jefferson Barracks, Missouri on August 28, 1942. He has honorably discharged on December 11, 1945, serving in World War II. Howard graduated from the College of Mortuary Science in St. Louis on December 18, 1946. He was licensed as an embalmer with the State of Missouri on February 2, 1948. On July 20, 1949, in Macon, Missouri, he married Dorotha Dean “Dot” Lile Myers. They were the parents of three children: Howard Kent Myers, Edward Brent Myers and Paula Jean Myers Vomund. 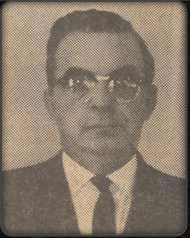 Howard and his family came to Wellsville in 1958. He bought Wells Funeral Home in Wellsville, in 1960 and Pritchett-Myers Funeral Home in Middletown in 1964. At that time, both funeral homes were changed to Myers Funeral Home. Mr. Myers was a member of Wellsville United Methodist Presbyterian Church where he served as elder for the Presbyterians. He was a member of the Wellsville V.F.W. and American Legion. He also had served as past treasurer of the Wellsville Kiwanis Club and the Wellsville Middletown R-1 Board of Education. He was a member of the Montgomery Masonic Lodge 246 A.F. & A.M., Missouri Funeral Directors and the National Funeral Directors Association. Howard was survived by his children: Howard Kent and wife, Jane Myers of Wellsville, Edward Brent and wife, Laura Myers of Shreveport, Louisiana, Paula Jean and husband, Joe Vomund of Martinsburg; sister, Mrs. Pauline Litchfield, of Fort Worth, Texas, three grandchildren, Howard Jason Myers, Jill Ann Myers and Jennifer Aliece Myers all of Wellsville. He was preceded in death by his parents and wife, Dorotha Dean “Dot” Myers on January 17, 1968. Memorials were suggested to the Heart Fund or Wellsville United Methodist Presbyterian Church.